Easiest conversion for applications in the field of military clothing or jeans. Example: Sewing and cutting of eyelet buttonholes with gimp, taper bar and round eyelets without gimp in rapid change and cutting all sewing threads short (581-341 with sewing equipment E3401/E3421). With the 581 MULTIFLEX the selection of 2 different buttonhole knives together with the short topmounted cutting block facilitates virtually any length and any shape in any conceivable combination. Different lengths are automatically performed by single or multiple cuts. If just 2 different buttonholes are required the operation mode MONOFLEX allows the combination of 2 buttonhole knives and one cutting block. This facilitates the choice between 2 different cut lengths and shapes. All buttonholes are cut open with a single cut – highest productivity by shortest possible cycle time! The new programmable automatic lockstitch buttonholer cl. 540-500-01 is characterized above all by first-class seam quality. Whether shirts, blouses, dresses or polo shirts – programmable fine adjustments of the buttonhole allow an optimal adaptation to the most different materials. Moreover, the integrated electrical thread tension guarantees an excellent stitch pattern and a reproducible sewing result, even when processing difficult fabrics. 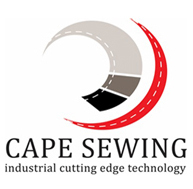 The cutting system driven independently from the sewing drive ensures maximum flexibility as regards buttonhole cutting. Cutting length and cutting length up to the bartack are freely programmable with cl. 540-500-01 Thus, you are able to react immediately to the special design requirements of your customers. The innovative knife drive allows the use of one standard knife for all kinds of buttonholes. Keeping available a great variety of spare parts and exchanging the knife in case of design changes is no longer necessary.